CANCELED Thursday, March 14, 2019 • To be rescheduled. Get Lit with Artist & Author Larry “Klu” Klukaszewski. Larry “Klu” Klukaszewski is a professional sports artist and author. He has created commissions for many athletes and exhibited nationally at the National Art Museum of Sport. His artwork is also on display at Heinz Field, home of the Pittsburgh Steelers. 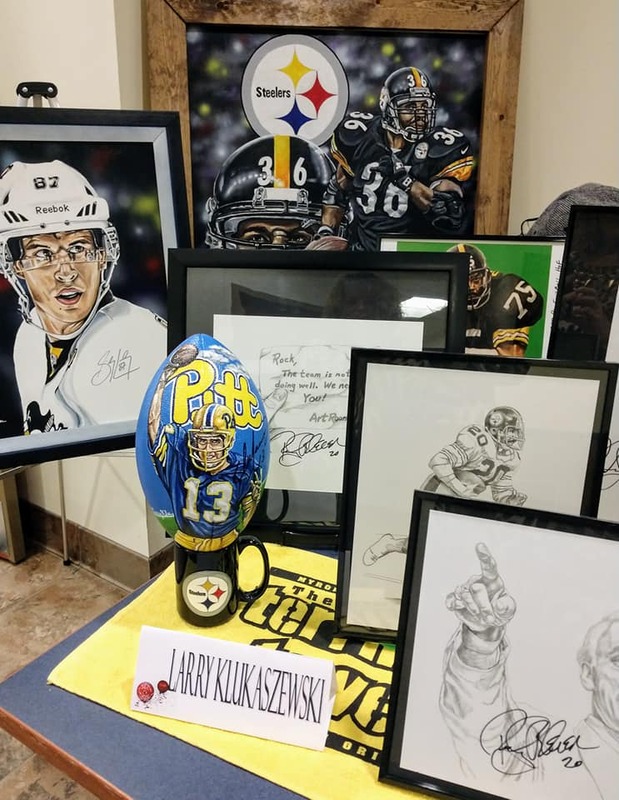 Larry will paint “live” as he shares in his artwork and book about NFL great and Pittsburgh Steelers’ sports legend, Rocky Bleier.